Postoperative delirium (POD) is a common complication associated with increased resource utilization, morbidity and mortality. Our institution screens all postsurgical patients for postoperative delirium. The study aim was to perform an automated interrogation of the electronic health records to estimate the incidence of and identify associated risk factors for POD following total joint arthroplasty (TJA). Adult patients who underwent TJA with a multimodal analgesia protocol, including peripheral nerve blockade, from 2008 through 2012, underwent automated chart review. POD was identified by routine nursing assessment and administrative billing codes. Of 11,970 patients, 181 (1.5%) were identified to have POD. Older age (odds ratio, 95% CI 2.20, 1.80–2.71 per decade, p < 0.001), dementia (7.44, 3.54–14.60, p < 0.001), diabetes mellitus (1.70, 1.1.5–2.47, p = 0.009), renal disease (1.68, 1.03–2.65, p = 0.039), blood transfusions (2.04, 1.14–3.52, p = 0.017), and sedation during anesthesia recovery (1.76, 1.23–2.51, p = 0.002) were associated with POD. Anesthetic management was not associated with POD risk. Patients who developed POD required greater healthcare resources. Dementia is strongly associated with POD. The association between POD and transfusions may reflect higher acuity patients or detrimental effect of blood. Postoperative sedation should be recognized as a warning sign of increased risk. Ely EW, Shintani A, Truman B, Speroff T, Gordon SM, Harrell FE Jr., et al. Delirium as a predictor of mortality in mechanically ventilated patients in the intensive care unit. JAMA 2004;291(14):1753-62. https://doi.org/10.1001/jama.291.14.1753. Milisen K, Foreman MD, Wouters B, Driesen R, Godderis J, Abraham IL, et al. Documentation of delirium in elderly patients with hip fracture. J Gerontol Nurs 2002;28(11):23-9. https://doi.org/10.3928/0098-9134-20021101-07. Katznelson R, Djaiani G, Tait G, Wasowicz M, Sutherland AM, Styra R, et al. Hospital administrative database underestimates delirium rate after cardiac surgery. Can J Anaesth 2010;57(10):898-902. https://doi.org/10.1007/s12630-010-9355-8. van Zyl LT, Davidson PR. Delirium in hospital: An underreported event at discharge. Can J Psychiatry 2003;48(8):555-60. https://doi.org/10.1177/070674370304800807. Scott JE, Mathias JL, Kneebone AC. Incidence of delirium following total joint replacement in older adults: A meta-analysis. Gen Hosp Psychiatry 2015;37(3):223-9. https://doi.org/10.1016/j.genhosppsych.2015.02.004. Bigatello LM, Amirfarzan H, Haghighi AK, Newhouse B, Del Rio JM, Allen K, et al. Effects of routine monitoring of delirium in a surgical/trauma intensive care unit. J Trauma Acute Care Surg 2013;74(3):876-83. https://doi.org/10.1097/TA.0b013e31827e1b69. Ely EW, Margolin R, Francis J, May L, Truman B, Dittus R, et al. Evaluation of delirium in critically ill patients: Validation of the Confusion Assessment Method for the Intensive Care Unit (CAM-ICU). Crit Care Med 2001;29(7):1370-9. Weingarten TN, Jacob AK, Njathi CW, Wilson GA, Sprung J. Multimodal analgesic protocol and postanesthesia respiratory depression during phase I recovery after total joint arthroplasty. Reg Anesth Pain Med 2015;40(4):330-6. https://doi.org/10.1097/AAP.0000000000000257. Hebl JR, Dilger JA, Byer DE, Kopp SL, Stevens SR, Pagnano MW, et al. A pre-emptive multimodal pathway featuring peripheral nerve block improves perioperative outcomes after major orthopedic surgery. Reg Anesth Pain Med 2008;33(6):510-7. Herasevich V, Kor DJ, Li M, Pickering BW. ICU data mart: A non-iT approach. A team of clinicians, researchers and informatics personnel at the Mayo Clinic have taken a homegrown approach to building an ICU data mart. Healthc Inform 2011;28(11):42, 44-5. Charlson M, Szatrowski TP, Peterson J, Gold J. Validation of a combined comorbidity index. J Clin Epidemiol 1994;47(11):1245-51. https://doi.org/10.1016/0895-4356(94)90129-5. Gali B, Whalen FX, Schroeder DR, Gay PC, Plevak DJ. Identification of patients at risk for postoperative respiratory complications using a preoperative obstructive sleep apnea screening tool and postanesthesia care assessment. Anesthesiology 2009;110(4):869-77. https://doi.org/10.1097/ALN.0b013e31819b5d70. Sessler CN, Gosnell MS, Grap MJ, Brophy GM, O’Neal PV, Keane KA, et al. The Richmond Agitation-Sedation scale: Validity and reliability in adult intensive care unit patients. Am J Respir Crit Care Med 2002;166(10):1338-44. https://doi.org/10.1164/rccm.2107138. Bin Abd Razak HR, Yung WY. Postoperative delirium in patients undergoing total joint arthroplasty: A Systematic review. J Arthroplasty 2015;30(8):1414-7. https://doi.org/10.1016/j.arth.2015.03.012. Jankowski CJ, Trenerry MR, Cook DJ, Buenvenida SL, Stevens SR, Schroeder DR, et al. Cognitive and functional predictors and sequelae of postoperative delirium in elderly patients undergoing elective joint arthroplasty. Anesth Analg 2011;112(5):1186-93. https://doi.org/10.1213/ANE.0b013e318211501b. Kinjo S, Lim E, Sands LP, Bozic KJ, Leung JM. Does using a femoral nerve block for total knee replacement decrease postoperative delirium? BMC Anesthesiol 2012;12:4. https://doi.org/10.1186/1471-2253-12-4. Burkhart CS, Dell-Kuster S, Gamberini M, Moeckli A, Grapow M, Filipovic M, et al. Modifiable and nonmodifiable risk factors for postoperative delirium after cardiac surgery with cardiopulmonary bypass. J Cardiothorac Vasc Anesth 2010;24(4):555-9. https://doi.org/10.1053/j.jvca.2010.01.003. Barr J, Fraser GL, Puntillo K, Ely EW, Gélinas C, Dasta JF, et al. Clinical practice guidelines for the management of pain, agitation, and delirium in adult patients in the intensive care unit. Crit Care Med 2013;41(1):263-306. https://doi.org/10.1097/CCM.0b013e3182783b72. Ely EW, Inouye SK, Bernard GR, Gordon S, Francis J, May L, et al. Delirium in mechanically ventilated patients: Validity and reliability of the confusion assessment method for the intensive care unit (CAM-ICU). JAMA 2001;286(21):2703-10. https://doi.org/10.1001/jama.286.21.2703. Neufeld KJ, Hayat MJ, Coughlin JM, Huberman AL, Leistikow NA, Krumm SK, et al. Evaluation of two intensive care delirium screening tools for non-critically ill hospitalized patients. Psychosomatics 2011;52(2):133-40. https://doi.org/10.1016/j.psym.2010.12.018. McNicoll L, Pisani MA, Zhang Y, Ely EW, Siegel MD, Inouye SK. Delirium in the intensive care unit: Occurrence and clinical course in older patients. J Am Geriatr Soc 2003;51(5):591-8. https://doi.org/10.1034/j.1600-0579.2003.00201.x. Robinson TN, Raeburn CD, Tran ZV, Angles EM, Brenner LA, Moss M. Postoperative delirium in the elderly: Risk factors and outcomes. Ann Surg 2009;249(1):173-8. https://doi.org/10.1097/SLA.0b013e31818e4776. Visser L, Prent A, van der Laan MJ, van Leeuwen BL, Izaks GJ, Zeebregts CJ, et al. Predicting postoperative delirium after vascular surgical procedures. J Vasc Surg 2015;62(1):183-9. https://doi.org/10.1016/j.jvs.2015.01.041. Mason SE, Noel-Storr A, Ritchie CW. 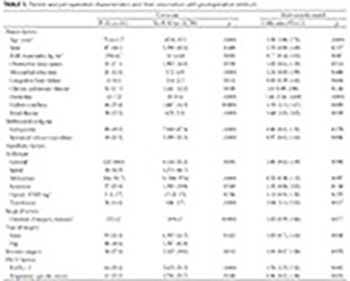 The impact of general and regional anesthesia on the incidence of post-operative cognitive dysfunction and post-operative delirium: A systematic review with meta-analysis. J Alzheimers Dis 2010;22 Suppl 3:67-79. https://doi.org/10.3233/JAD-2010-101086. van der Zanden V, Beishuizen SJ, Swart LM, de Rooij SE, van Munster BC. The effect of treatment of anemia with blood transfusion on delirium: A systematic review. J Am Geriatr Soc 2017;65(4):728-37. https://doi.org/10.1111/jgs.14564.